It's sad but it is time to say goodbye to our home for the last year. 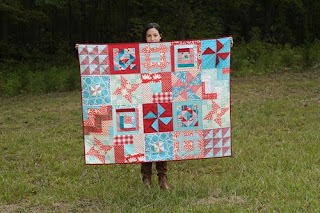 We've had a lot of good fun on this blogspot site and met quilters from all over the world. 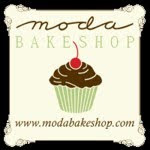 But I have to admit we are super duper excited to be able to say our new website is officially open for business!! 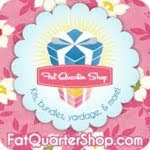 Come join the fun on www.fatquarterly.com. We are sure you are going to just love what we have been up to over there. And we haven't finished yet! We hope to bring you even more great features over the coming weeks. We are not going to delete this site so you can still come and look up old posts over here. But we are going to stop posting on this site. Please make sure your feeds are updated to our new website. And with that, we have a Moda sweep! 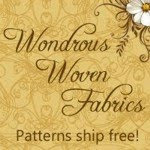 Looks like Moda Fabrics has Region 2 all wrapped up. The round of 16 should be very interesting as these four groups are matched up against one another. Today we head over to Region 3, where some of your favorites are back in action. Will Modern Meadow continue its march to the finals? How will reader favorites Momo, Heather Ross, Sandi Henderson, and Erin McMorris fare? Will voters put Remix, Urban Circus, and Hideaway into the Sweet 16? Only time will tell ... but you need to vote to see your favorites advance! Need a refresher? 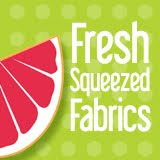 You can find links to all of the fabric lines in Region 3 here. 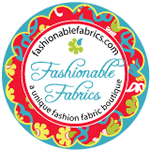 If you're keeping score, give yourself 2 points for every winning fabric line that you had predicted would be in the round of 16. How are your brackets looking? Are your Final Four lines still alive? And now it's time for our next 8 teams to take the court. Use the ballot below to cast your votes. Remember, one vote per reader please! To refresh your memory, the links to these lines can be found here. 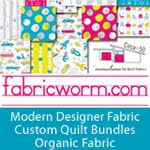 Hello, I'm Rachel & I LOVE to sew, embroider and crochet with lots and lots of color. 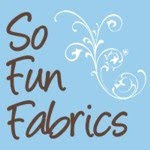 You'll find I'm always stitching something lively from home decor to quilts, and a bit of kid stuff too. But it hasn't always been this way - I learned to sew summer of 2009 and didn't start sewing with a passion until last year. 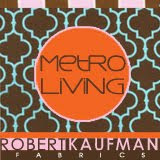 Sewing is to me a privilege (oh, the fabrics! ), a rejuvenating hobby and a way to benefit children in poverty. 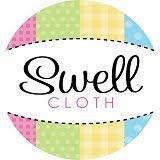 At my blog, Stitched in Color, I'm currently hosting Blogger's Pillow Party, a social event and contest with quite honorable judges. I’m mother of two little ones that keep me busy, but not too busy for nighttime creating. I have two web stores (here and here) and we homeschool too. Phew! It sounds more exhausting than it is. Actually, life is wonderful – sweet, beautiful and changing everyday. 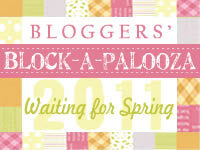 A big “thanks!” to all the inspiring bloggers who share this friendly space with me! If there's anything more fun than sewing, it's sewing with friends. And that's why we're here - on blogs, on Flickr, in Swaps, in bees. All the joy of creating x community = big love. 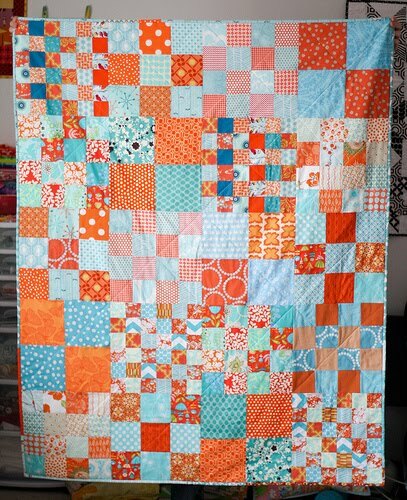 So, naturally, by the time I had stitched the binding on my first quilt, spring of 2010, the quilting bees were tempting me something awful. But something stopped me. Fact is, I don't need many quilts for our house. There's just this bed, that bed and the other. 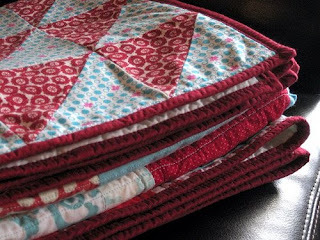 I refuse to own stacks of quilts, however wonderful, that aren't being loved and used. And, then there was this other dream - to do some good with my love for fabric and thread. To help others. Make quilts for people who actually need them. 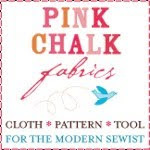 Children that don't have quilting mamas, or aunts, or grandmothers. 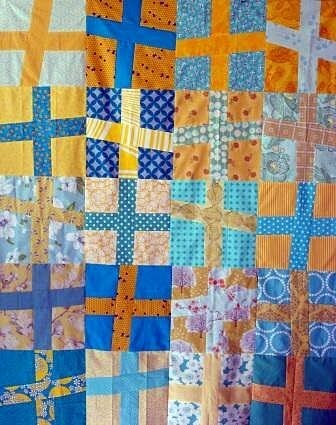 A quilting bee for charity would be perfect! But, I couldn't find one. So, I made one. It's called do. Good Stitches. 9 talented ladies joined me in our first sewing circle called "Love" which makes quilts to be distributed to needy children through Wrap Them in Love. This Red & Aqua Sampler Quilt was our first completed quilt. It was my pleasure to plan, piece and finish it. In the process I learned that differing shades of aqua only enhanced the quilt, that finding bee blocks in the mail for weeks is completely enchanting, and that there are a LOT of people who want to get involved doing some good! Now, 4 months after that first finished quilt, I am so amazed with how do. Good Stitches has grown. I am thankful for each one who has joined in to give of time and fabric to do this work. It's been such fun to get to know each other and to be stretched in new experiences of pattern and color. We have grown to a total of six sewing circles. 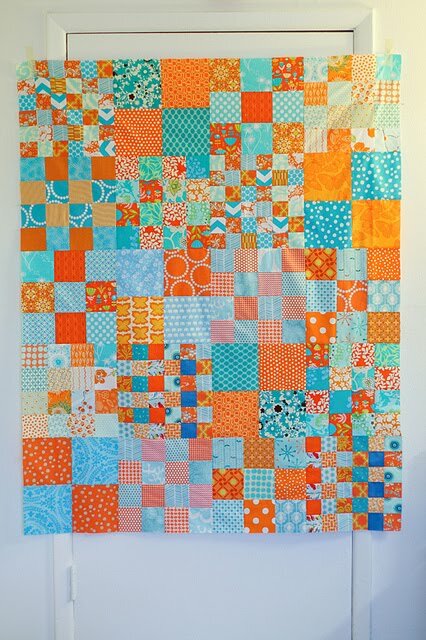 With each circle making one quilt per month for a variety of charities, that's a lot of people we will be blessing in 2011! Please visit our Flickr group to learn how our bee works. You can fill out the New Members Form if you'd like to join the waiting list. 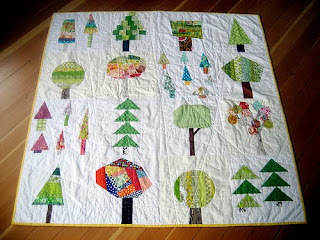 We're looking for modern quilters who enjoy being active on Flickr. 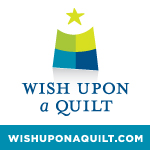 There are two levels of participation, so even if you're somewhat new to quilting, we welcome you to get involved! Thanks so much for being our guest today Rachel!